This specialist meeting (workshop) is funded by the National Science Foundation (NSF) project award #1416509, IBSS: Spatiotemporal Modeling of Human Dynamics Across Social Media and Social Networks. The goal of this workshop is to foster the multidisciplinary collaboration in related research disciplines, including geography, linguistics, computer science, political science, public health, and communication. 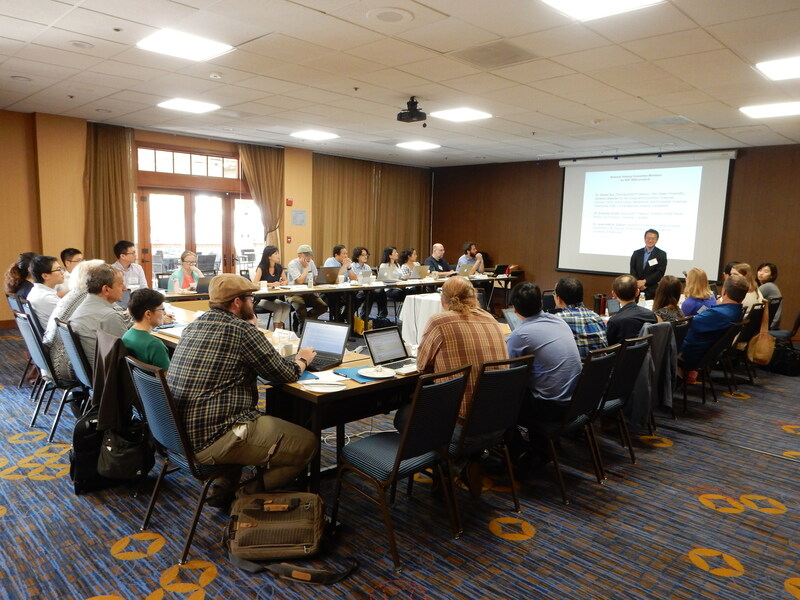 The two-day workshop (August 01 and August 02, 2016), organized by the Center for Human Dynamics in the Mobile Age (HDMA) at San Diego State University, will bring together over 30 specialists drawn from many disciplines. The workshop will assess the current state of the art technologies and tools for studying human dynamics and Big Data, identify and prioritize a research agenda, and begin the development of a research community of collaborating scholars working on these Big Data, social media, and human dynamics issues. 1. How to reduce the dimensionality of big data datasets in ways that help humans conduct analysis or create knowledge? 2. How do different social network structures affect the scope and speed of the spatial diffusion processes for memes? 3. Are there community detection approaches to social media that can fruitfully provide metrics/ratios of pro- versus counter-frame social networks predictive of social policy formation (e.g., vaccine policy, marijuana legalization, etc.)? 4. Will adapting the Multilevel Model of Meme Diffusion to include behavioral theories result in a model that improves prediction of meme diffusion? 5. Are there search filters/ontologies that can facilitate focus on actionable social media messages during natural disasters? 6. How can parallel and distributed computing resources facilitate big data analytics on human dynamics? 7. What are opportunities and challenges of open source toolkit development for human dynamics studies?